Rob Vaz is not only a great guy, but he knows fly fishing. 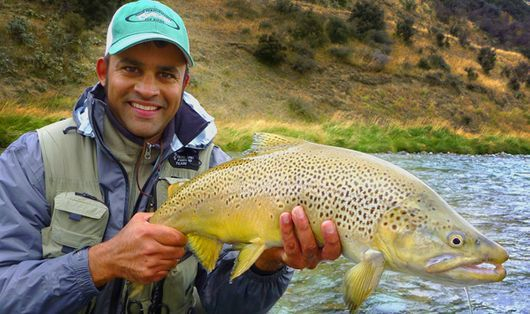 He is an accomplished angler, is a member of the NZ fly fishing team, was NZ Champion in 2003 and has since represented New Zealand at World, Commonwealth and Oceania levels. 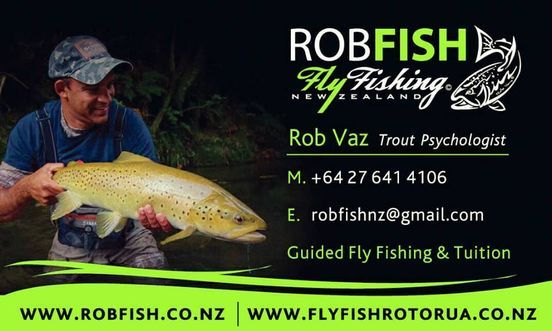 Rob writes and photographs for NZ Fishing News magazine and guides extensively throughout the North Island. A day with Rob will not only get you amongst the trout, but you will learn the intricacies which keep 10% of anglers catching 90% of the fish. Employing cutting edge techniques and fly design, Rob stays competitive, and so you can be sure that if the trout chose to play tough, you will be well equiped to play tougher. Rob specialises on the waters of the Waikato, King Country, Central North Island and Rotorua region.